MICHIGAN CITY, Ind. 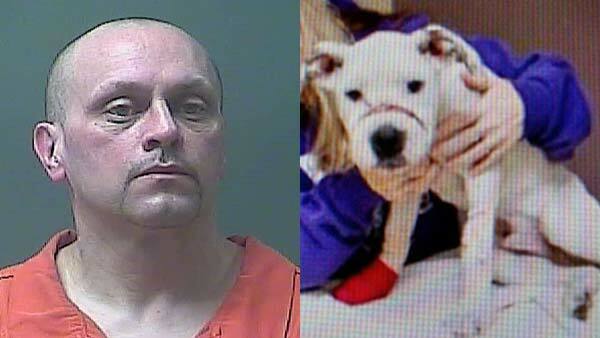 (WLS) -- A northwest Indiana man who duct-taped a pit bull puppy's mouth shut was sentenced to 48 months in prison. The puppy was found injured on Christmas Day 2015 in Michigan City, Indiana. The terrier pit bull mix was found wheezing, foaming at the mouth and stumbling. He had scars from duct tape being wrapped around his muzzle and a pair of broken hips. Richard Cope pleaded guilty to also breaking the puppy's hips. Cope spent several weeks on the run before he was arrested in El Paso, Texas. The dog has since recovered.